What a way to kick off the new Gold Medal Plates campaign! It was a very busy night in Winnipeg with the Jets home opener (they won!) and many eyes on Kansas City for the Jays game (we know what happened there). But our sell-out crowd gave their full attention to the awesome show we put on at the Convention Centre, emceed by the eloquent and witty Curt Harnett. Rocking the room were our musical stars Barney Bentall, Matthew Harder from Spirit of the West, Rebecca Harder, Devin Cuddy and Sam Polley. This is GMP’s 10th anniversary and there was plenty of talk about the event here in 2006 when chef Makoto Ono won the gold medal and then went on to win the first ever Canadian Culinary Championship. And of course anticipation of the Rio Olympics was also strong among the 15 Olympic athletes – and everyone else who showed “a splash of colour” in their finery. Our expert judges certainly looked splendid, led by Senior Judge Barbara O’Hara (a Chef of Distinction herself and owner of Dessert Sinsations Café), Jeff Gill (a chef, chef instructor and Director, Food Services at Red River College), Christine Hanlon (journalist, food writer and co-author of The Manitoba Book of Everything), Mike Green (writer, broadcaster and top-five finisher on MasterChef Canada) and last year’s Winnipeg champion, Chef Luc Jean. A new component of our events this year is an afternoon tasting of all the wines, spirits and beers poured during the evening, hosted by David Lawrason. It was a huge success, with David and his posse of wine judges joined by whichever culinary judges wish to be present. From our point of view it was a great opportunity to get to know the chefs’ paired beverages before encountering them in the actual competition, and a merry, casual, conversational chance for Winnipeg’s wine professionals to hobnob with the food gurus, something that happens less often than one might think. Huge kudos to David for coming up with this idea! David has more details about this in his wine report below. I have no hesitation in saying the calibre of the dishes was higher than ever in Winnipeg – plates full of imagination and finesse – and the quality of the wines (and one whisky) chosen by the chefs was seriously impressive. It was a pleasure critiquing such talent and in the end the judges were unanimous in their decision. Taking home the bronze medal was Melissa Makarenko of Resto Gare Restaurant. She presented a duality of lamb starting with a cube of confited spare rib, perfectly textured and glazed with a sticky reduction that was pure umame. Beside it posed a slice of exceptionally tender lamb loin that had been briefly smoked with maple and birch branches. A mound of prairie millet grains spiked with mustard served as a balancing carb and a whole, toothsomely firm baby carrot brought a sweet, earthy splash of colour to the plate. Chef’s primary sauce was a lamb jus infused and flavoured with Manitoba chaga mushroom (a parasitic but delectable fungus that grows on birch trees) while the subtle coniferous theme was brought into fine focus by dabs of a super-smooth green purée of spring spruce buds, wheat grass and pea. Chef Makarenko’s wine match was nicely judged – the ripe, smooth Winnipeg Blue Bomber Premium Reserve Cabernet Reserve from Pondview Estate in Niagara-on-the-Lake. Our silver medallist was Jesse Friesen from 295 York. His was the most delicate and refined dish of the evening, ambitious, requiring great balance of flavours and ultimately impeccably executed. He began with plump Bay of Fundy scallops, cured ever so briefly in salt and sugar then carved into silky, sweet slices that tasted of the sea. Chef dressed them with a few precious drops of a vinegar infused with smoked red pepper and then orchestrated the natural sweetness of the scallops with other boldly sapid ingredients – drops of chili oil that tasted beautifully of pickled jalapeño, dots of a truffle aïoli and a spoonful of local whitefish caviar. Crowning the dish was a perfect oyster, still raw at its heart but rolled in powdered blue corn and fried for mere seconds to give a fleeting moment of crunch. A garnish of cilantro seedlings and pea shoots completed the taste spectrum as a green, herbal element to the dish. Chef’s wine was the always delightful Stellar’s Jay Brut bubbly from Sumac Ridge in the Okanagan. Taking the gold medal, by just three percentage points, was Norm Pastorin of The Cornerstone. He created a confit of B.C. salmon, poaching whole fillets sous-vide in shallot-infused olive oil then slicing them into portions the size of two fingers. 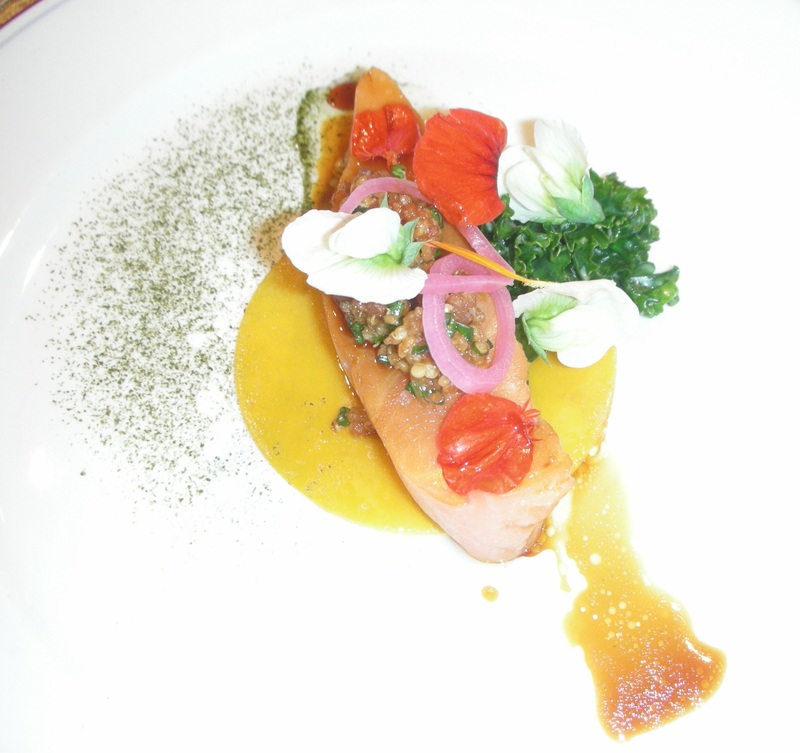 The fish was marvelously medium-rare, soft as butter and full of the salmon’s own glorious flavour, topped with a crunchy crumble of finely chopped bacon, quinoa, salmon roe and chives. A couple of judiciously placed pickled shallot rings brought a pleasant acidity and a garnish of white pea flowers and red nasturtiums were far more than mere decoration. 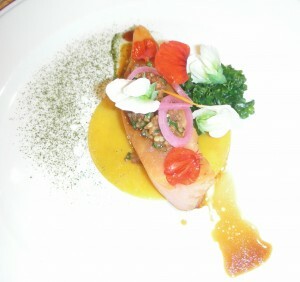 The salmon rested on a flat disc of tissue-thin tamagoyaki made from egg yolk sweetened with soy and mirin. A teaspoonful of soy-ginger-anise glaze and a sprinkling of powdered B.C. seaweed made their own contributions and the finishing touch was a rosette of kale lightly touched with a sesame-ginger dressing. Burrowing Owl Chardonnay from the Okanagan was a smart choice, the wine perfectly enhancing the salmon. So we’re off and running! We have the first gold-medallist who will be going to Kelowna next February. Already the bar has been set intriguingly high. Gold Medal Plates launched its milestone 10th season at the RBC Convention Centre in Winnipeg on October 16, uncorking the city’s strongest yet selection of Canadian wine in the process. And it was very fitting that the Best of Show Wine Awards should go to a sparkling wine – Blue Mountain Brut, a traditional method, very complex brut that bristled with tension, minerality and excellent length. In fact it was the clear winner with four first place votes by a panel of eight judges who assembled to taste through the line-up for two hours in advance of the culinary competition. We moved through a total of two sparklers, four whites, five reds and Forty Creek Copper Pot Whisky, each judge ranking their top five. In second spot came the richly detailed yet firm Burrowing Owl 2013 Chardonnay, followed by the lean, sour red fruit-laden Sandhill 2012 Small Lots Sangiovese, narrowly edging Osyoos Larose 2010 Grand Vin. The Best of Show Wine Award is designed to highlight the generous donations of Canada’s wineries. In ten years I am estimating that about 150 wineries have donated up to 2000 cases in support of our Olympic athletes. In recent years in Winnipeg, Manitoba Liquor and Lotteries has stepped up to cover all the wine costs; the only liquor board in the Country to make this generous gesture. This year the Best of Show judging is being expanded to include several wine professionals in each city – journalists, buyers for liquor boards and private stores and top sommeliers. The aim is to expose the Gold Medal Plates wines to key influencers as a way to thank the wineries, and to promote Canadian wine in each of the country’s major cities. Gold Medal Plates is the country’s largest consumer showcase for Canadian wine. An impressive group of judges was assembled with the help of good friend and co- judge at National Wine Awards of Canada; Ben McPhee Sigurdson, wine columnist for the Winnipeg Free Press. The roster included repeat visits by Aaron Albas, who guides purchasing and education for Manitoba Liquor and Lotteries, as well as Christopher Sprague , the man behind the great wine list at 529 Wellington. Christopher has joined Gold Medal Plates to help procure rare wines for our silent auction. Sylvia Jansen, a recent WSET Diploma grad, and Gary Hewitt are key buyers and leading educators at Banville and Jones, one of Manitoba’s fine private wine stores. Sean Dolenuk, who recently joined a group of leading Canadian sommeliers in Argentina plies his talents at Boutique Del Vino. Domer Rafael who manages the wine program for the Rossmere Golf and Country Club, rounded out the roster. Well not quite. This year the Culinary Judges are being invited to attend the pre-event wine judging. Barbara O’Hara, a leading pastry chef in Winnipeg, was delighted to sit in on the judging. 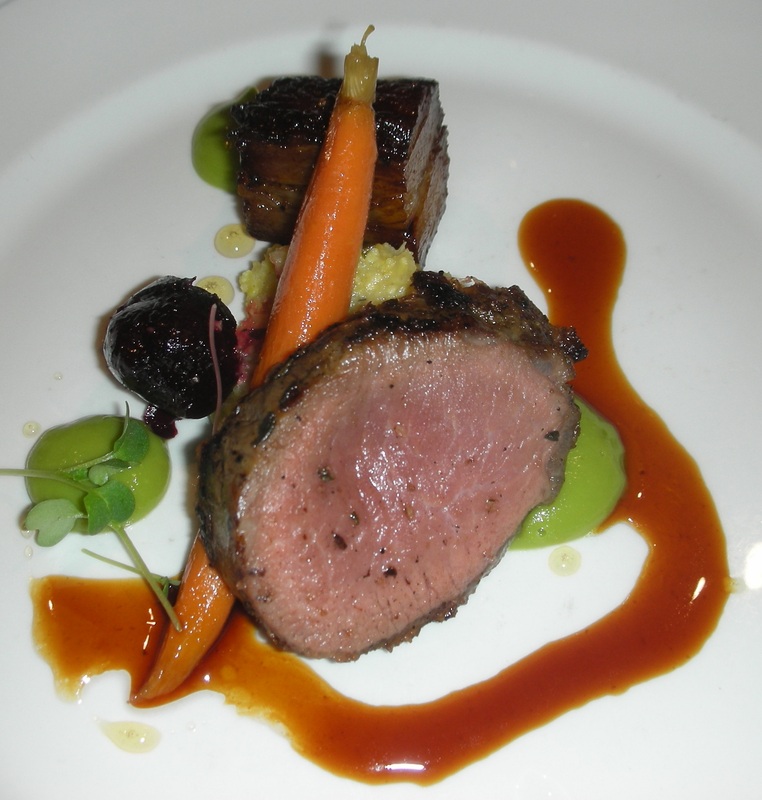 “It truly allowed me to better tune into the food and wine pairings later in the evening. It also gave the culinary judges a chance to mingle with the community, which does not often happen. “Winnipeg has a very strong and diverse wine community” said Ben McPhee-Sigurdsen, “with great people working in restaurants, private stores and the Manitoba Liquor Board. It’s very important for us to get together like this.” Many of the GMP judges are in the Manitoba chapter of the Canadian Association of Sommeliers. Out on the competition floor, Burrowing Owl 2013 Chardonnay took a gold medal paired with a fine salmon recipe by Norm Pastorin of The Cornerstone. “ I knew what dish I would prepare as soon as I was invited to compete”, said Norm, “ but not the wine. I encountered the Burrowing Owl Chardonnay two months later and I knew that was the wine I wanted”. 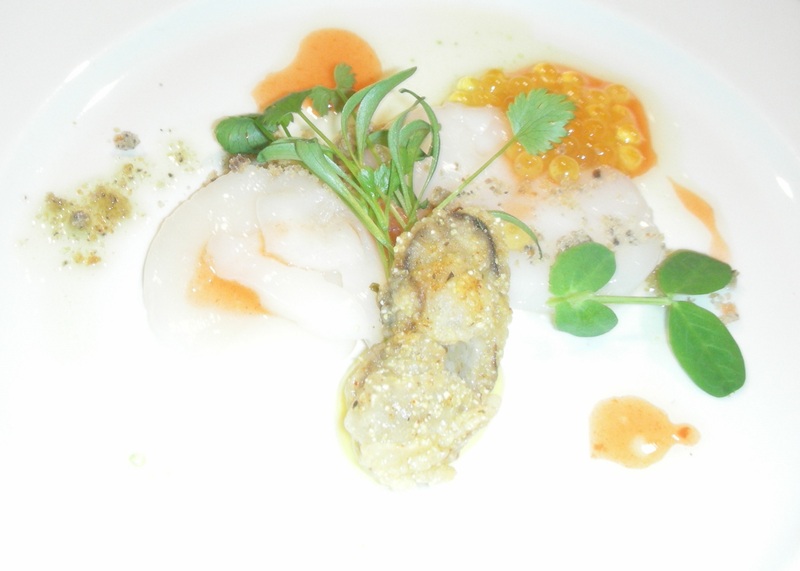 The Silver medal went to Sumac Ridge Stellars Jay, paired with cured Bay scallops by Chef Jesse Friesen of 295 York. And the bronze went to a robust, rich Pondview Cabernet Sauvignon from Niagara, labeled for the Manitoba as Winnipeg Blue Bomber Premum Reserve. On this night many eyes were on smart phones checking the progress of the home opener of the Winnipeg Jets, and on the Toronto Blue Jays as they played Game One of the American League Championship. Both favourites lost, but it was a winning night for Canadian wine in Winnipeg. You mention that Mankato won 10 years ago, it was actually 2007 when he won the competition. It may be a tenth anniversary for GMP but it’s only been held in winnipeg since 2007.